Sterling Pool Service in Sachse, Wylie, Murphy, Allen, Plano, Richardson, Garland and Dallas. Sterling Pool Service is a professional, full-service pool company that has been servicing residential swimming pools (for Sachse, Wylie, Murphy, Allen, Plano, Richardson, Garland and Dallas), with weekly swimming pool cleaning, pool equipment repairs, and pool renovations. Sterling Pool Service knows that when you need pool repairs, pool maintenance, and pool remodeling, you look for an established, reputable pool company that combines quality, integrity, and proven experience. When you choose Sterling Pool Service to diagnose your pool equipment problem, you can be assured we only bid needed pool repairs. You won’t get stuck paying for something that you really don’t need or want. And our pool remodeling bids are comprehensive and presented item by item. Best of all, all of our bids are given in writing so you know exactly what we will do and the cost. And we will educate you, enabling you to make an informed decision. We are your one stop pool company and want to be the only company you think of for your pool needs. Call us at 888-973-0274 to speak to a friendly, knowledgeable pool representative now. Your swimming pool is a major investment for relaxation, fun, and fitness. Since cleanliness and water quality impact the enjoyment and health of every swimmer in your pool, not to mention the condition of the pool itself, why take chances without regular pool maintenance? For optimum pool maintenance and pool care, you can trust the professionals at Sterling Pool Service. Find out more about what Sterling Pool Service can do for you. Call us at 888-973-0274 and ask for our weekly service agreement and FREE pool renovation bids. We want to be the only company you think of for pool needs. Contact us today! 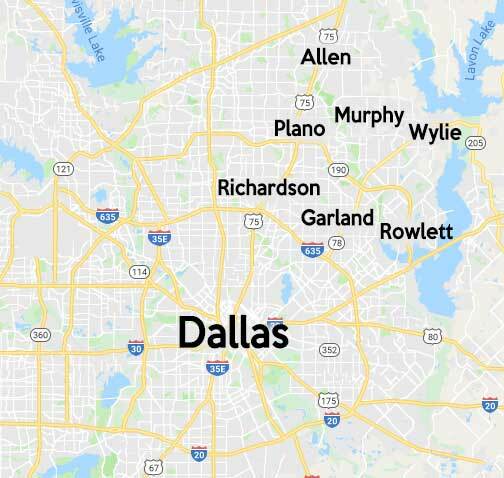 We serve the following areas: Sachse, Wylie, Murphy, Allen, Plano, Richardson, Garland and Dallas.